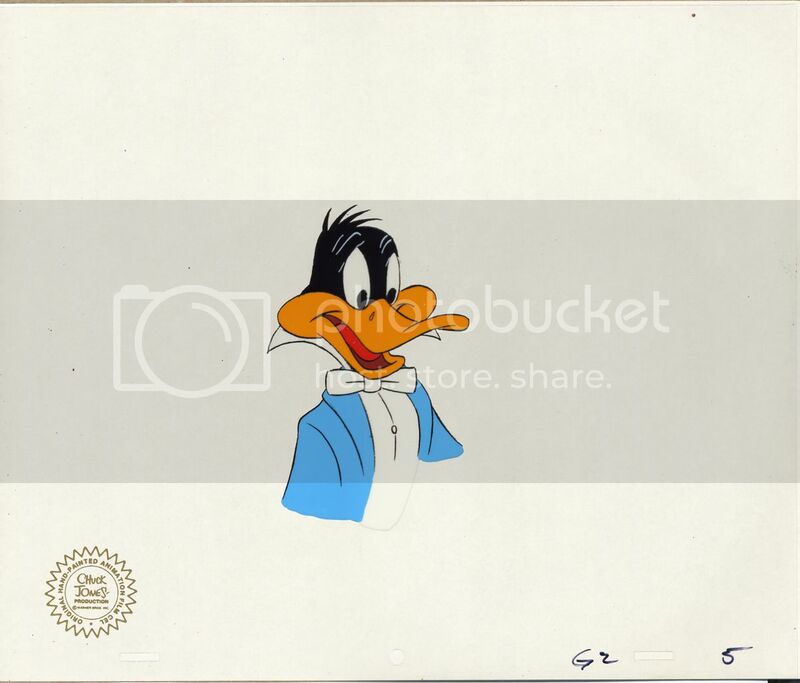 This is an ORIGINAL WARNER BROS. DAFFY DUCK cartoon cel, NOT a reproduction. It measures 12 ½ x 10 ½ and is in great shape. From the production of “Carnival of the Animals” from 1976. Marked with production code #G2 5. 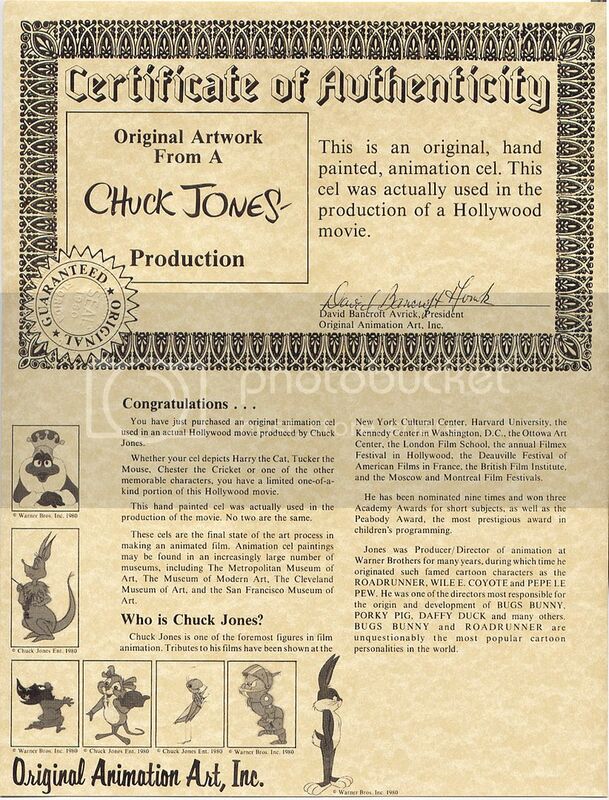 Included is a CERTIFICATE OF AUTHENTICITY from Original Animation Art Inc. that states this is an original cel from a CHUCK JONES Production. Categories: ART, ORIGINALS, Animation. Tags: collectibles, Warner Bros, animation art, animation cel, Carnival of the Animals, animation, art, cartoon cel, chuck jones, daffy duck, humor, Looney Tunes, Merrie Melodies, original art, Pop Culture, popular Culture. Be the first to review “Original CHUCK JONES Warner Bros DAFFY DUCK Animation Cel (1976) Carnival of the Animals” Click here to cancel reply.